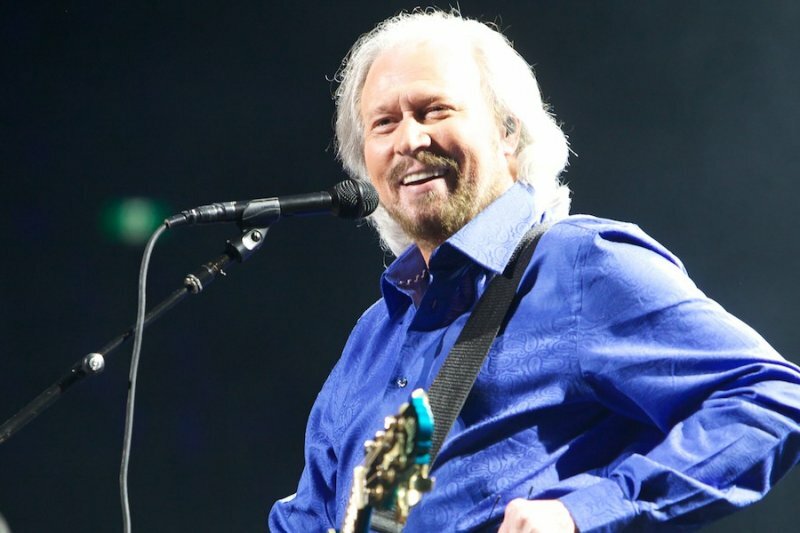 The 66-year-old singer is the only surviving member of musical trio the Bee Gees but he insists he can feel the spirits of his twin brothers Maurice and Robin every time he performs live and he admits he will struggle to control his emotions when he goes on tour in September. Speaking to the Daily Express newspaper, the musician said: "I feel my brothers' presence everywhere." The 'Stayin' Alive' singer will perform in the UK in the autumn without his brothers by his side for the first time in nearly six decades but he claims he can still hear them when he needs a helping hand. He added: "When you know someone so well, even when they are gone, you can hear the advice they would offer." Maurice died aged 53 in 2003 after complications from a twisted intestine, while Robin lost his battle with cancer aged 62 last May. Barry believes he and his siblings' musical connection brought them together as one so he is anticipating potential tears when he plays live without them. He explained: "As the Bee Gees the three of us became like the same person ... It's always hard to hold my emotions together." Barry is planning a tribute to his late brothers as part of his setlist. He will begin an acoustic version of 'I Started A Joke', which will then feature recordings of Robin singing with him on a screen. In addition, Barry plans to be joined on stage by Maurice's daughter Samantha.